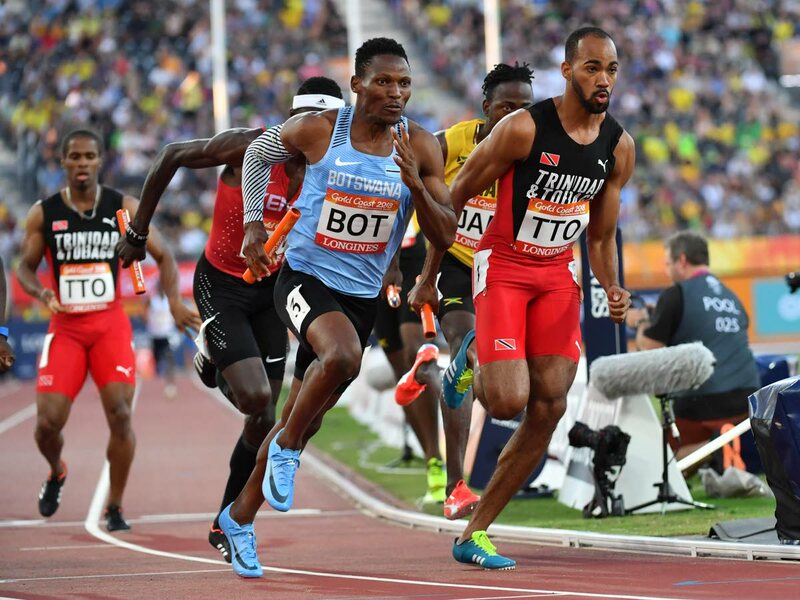 Trinidad and Tobago did not add to their medal tally yesterday as both the women’s 4x100-metres and men’s 4x400-metre relay teams placed fourth in their respective finals at the Gold Coast Commonwealth Games 2018, at the Carrara Stadium, Australia. TT’s quartet of Khalifa St Fort, Semoy Hackett, Reyare Thomas and Kai Selvon produced a time of 43.50 seconds for the fourth spot. The race was eventually won by England in a national record (42.46) followed by the Jamaicans (42.52). Nigeria grabbed the bronze in 42.75 seconds. The men’s 4x400m relay team - the current world champions - comprising Deon Lendore, Jereem Richards, Renny Quow and Machel Cedenio were aiming to repeat their historic run last year in London, England. However, they had to settle for a disappointing fourth place with a time of three minutes 2.85 seconds. Botswana’s Issac Makwala, winner of the 400 metres a few days ago, ran an excellent last leg to lead his country to the gold medal in a season best time of 3:01.78. Bahamas (3:01.92) copped the silver medal over their Caribbean counterpart Jamaica (3:01.97) in a close finish. Shakeil Waithe, in just his second senior major Games, placed seventh with a distance of 76.85 metres which unfortunately was his only legal throw of the final. India’s Neeraj Chopra claimed the gold medal with a massive throw of 86.74 metres. Second was Australian Hamish Peacock (82.59) while Grenadian Anderson Peters claimed the bronze medal (82.20). Tonya Nero was our last athlete competing at the Games when she participated in the women’s Marathon final yesterday afternoon (TT time). And the 29-year-old finished 14th overall in two hours 55 minutes and 14 seconds. Helalia Johannes of Namibia took gold in 2:32.40, ahead of the Australian duo of Lisa Weightman (2:33.23) and Jessica Trengove (2:34.09). Overall, TT will return home with three medals – two gold (sprinters Michelle-Lee Ahye in the women’s 100m and Jereem Richards in the men’s 200m) and one silver (swimmer Dylan Carter in the men’s 50m butterfly). The 2022 Commonwealth Games is set to take place in Birmingham, England. Reply to "No relay medals for men and women"